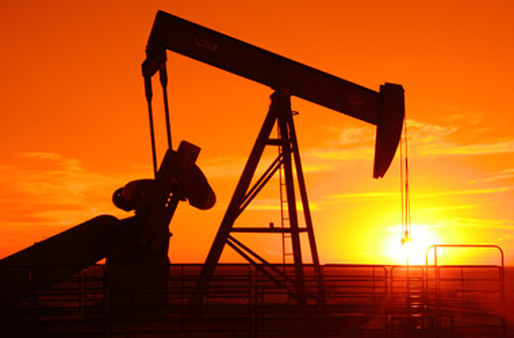 Low oil prices make hedge funds and private equity firms leery of lending to the industry. Crude prices were down to $45.50 a barrel on Sept. 22. When banks began to scale back financing for energy companies earlier this year amid the slump in oil prices, some of Wall Street’s savviest asset managers sought to capitalize by lending at high rates. That didn’t work out so well, as crude continued to plunge and lenders were stuck with losing positions. Now, banks are again contemplating credit cuts. But this time hedge funds and private-equity firms are showing more reluctance to step in. This wariness threatens to create a liquidity crunch for oil-and-gas drillers that have relied on relatively cheap funding for their operations. After investors snapped up more than $37.5 billion of bonds issued by junk-rated energy companies in the first six months of 2015, just $5.9 billion has been raised since then, according to data compiled by Bloomberg. And about $1 billion of that came in the form of a distressed-debt exchange for Halcon Resources Corp., in which the owners of some of the company’s beaten-down bonds agreed to swap their unsecured notes into higher-yielding and higher-ranking obligations that gave them a better claim on the company’s assets. Nonbank creditors have been fueling the energy industry’s growth for some time. Investing behemoths including Oaktree Capital Group LLC, Blackstone Group LP and KKR & Co. raised more than $20 billion for investing in the sector this year. Many have paid dearly. Blackstone’s credit unit GSO Capital Partners was among the lenders that saw almost all the value of their investments in the unsecured bonds of KKR-owned Samson Resources Corp. wiped out after the unit filed for bankruptcy last week. It bought the company’s unsecured bonds early in the year, hoping to orchestrate a debt exchange that would give it better claims on the assets. But the negotiations failed because the value of the assets dropped further, leaving bondholders with residual claims that were immaterial. These unsecured creditors are gearing up to fight a restructuring plan in bankruptcy court that will hand over the company to a different group of lenders led by Cerberus Capital Management LP, arguing that they shouldn’t become owners of the business because the plummeting price of crude wiped out the value of the loans. Instead, the unsecured bondholders maintain that both groups should be treated equally and share in the residual value of the company, people with knowledge of the matter said last week. Christine Anderson, a spokeswoman at Blackstone, Carissa Felger, a spokeswoman for Oaktree at Sard Verbinnen & Co., and Kristi Huller of KKR declined to comment. In the second quarter, fundraising dried up. Hedge fund Sound Point Capital Management, which manages about $7 billion, considered raising capital to target energy companies but put the plan on hold because “we didn’t think the timing was right,” said managing partner Stephen Ketchum. While Sound Point has stayed away from the sector for the past four years, it’s continuing to listen to pitches from desperate borrowers. Meanwhile, the message from banks, which are under pressure to cut their oil-and-gas holdings, has been loud and clear: There will be less leniency come October. On top of all that, firms such as Goldman Sachs Group Inc. and Jefferies Group LLC have reported significant losses on their distressed-debt trading desks, much of it incurred from the energy sector. Maglan is among the lenders that don’t plan to invest in sectors exposed to major commodities price swings. Tawil said the fund still invests in the energy sector but is focused on regions that are protected, like Argentina, where the price of oil is fixed by the government. That’s why even willing lenders like Sound Point are being extremely picky, waiting for just the right deal to come along before pouncing.